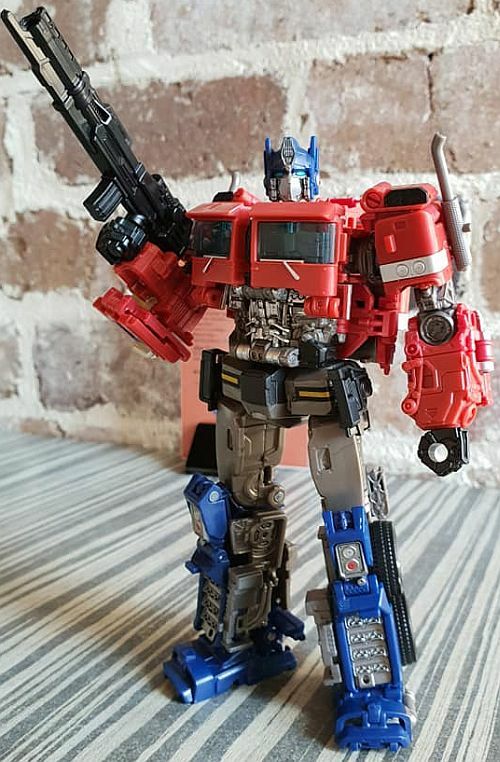 View Poll Results: Studio Series Optimus Prime (Bumblebee movie) - worth buying? This is a beautiful toy. The portions and details of the robot mode are not completely accurate to the final on-screen CGI, but IMO a VERY good attempt. Robot mode doesn't feel hollow and feels dense. 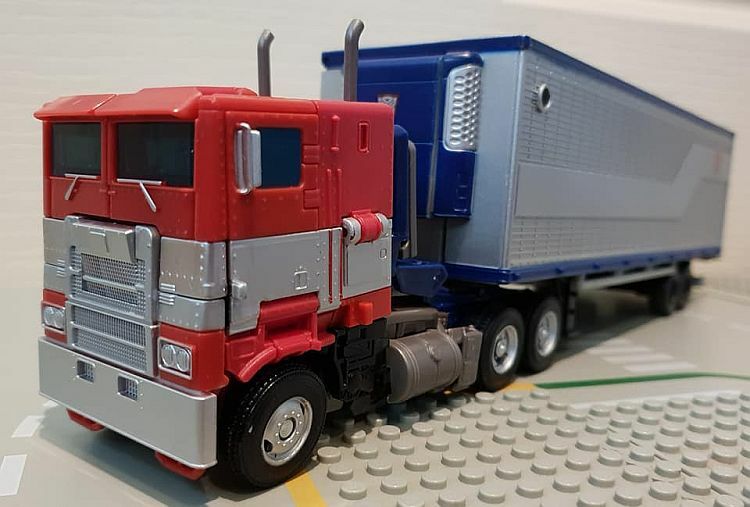 I managed to transform between robot and truck modes without looking at the instructions. And I didn't have the problems that some fans complained about online. No parts/flaps fell off during transformations - not even the head/neck pieces. I had no problem at all keeping everything in place in truck mode - but your mileage can vary of course. 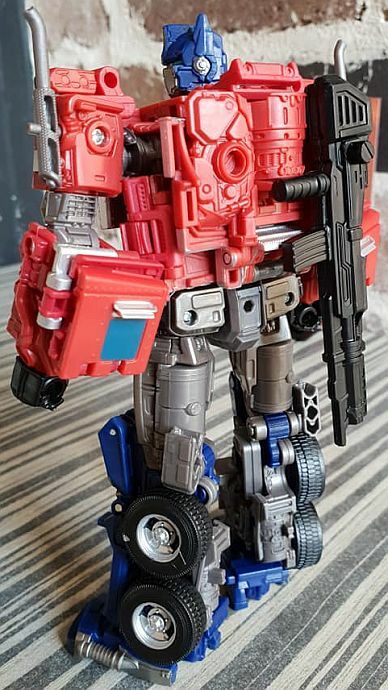 Transformation is involved but never frustrating (I actually had more issues with things getting in the way when transforming the old Evasion mould). Lots of folding, but overall a smooth experience for myself. 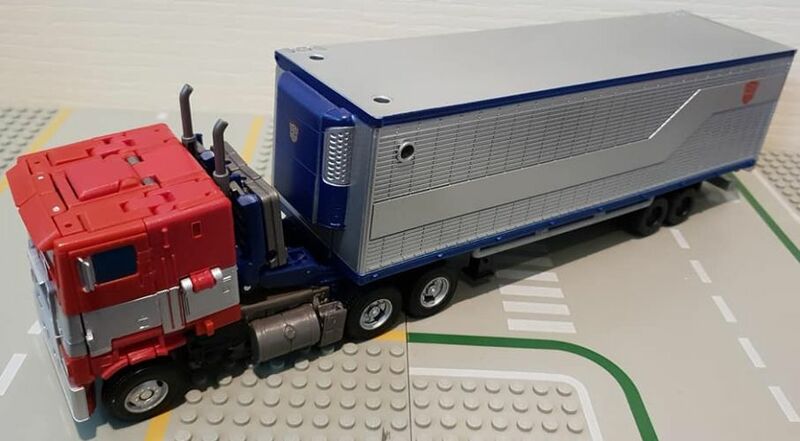 I really like how the front windows of the truck cab form the robot chest - as a Prime toy should! Plastics used are a little rubbery - but I understand it's for tolerance issues for the complexity at such a small scale. The rear leg panels near the ankles don't tend to stay in place but I feel they are a relatively minor issue. Ankles can tilt side to side. You can point the feet downward but not upward - losing some scores here! But given how most joints that you can expect are all there - you can still put him in a lot of dynamic poses. Knees are not double jointed but you can fold them more than 90 degrees. 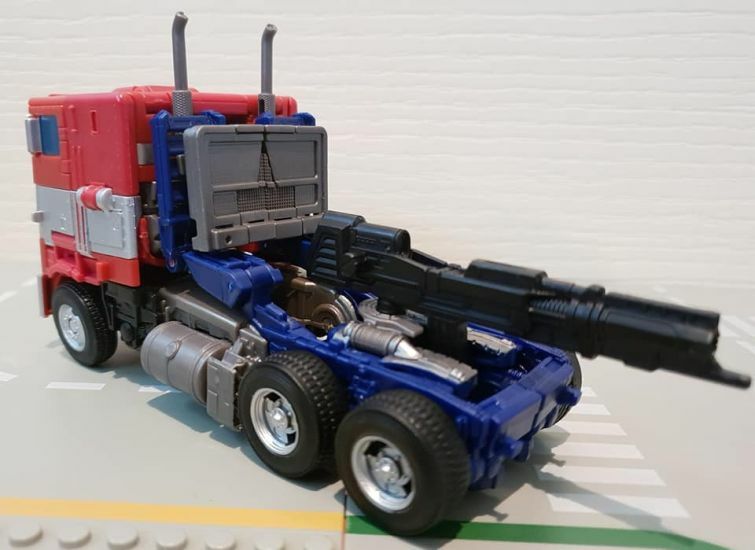 Finally a G1 Prime toy done with movie level modern details. I really love this toy! I am incredibly keen for this. I love how barrel chested the robot mode is. Any word on if we're getting this at local retail? No idea. I didn't wish to miss out and got mine (Hasbro version) from Robotkingdom. It seems certain retailers in Hong Kong were able to order two different case packs: (a) Wave 6 Voyager assortment (1 Optimus + 1 Rampage), or (b) Voyager Hero assortment (2 Optimus). 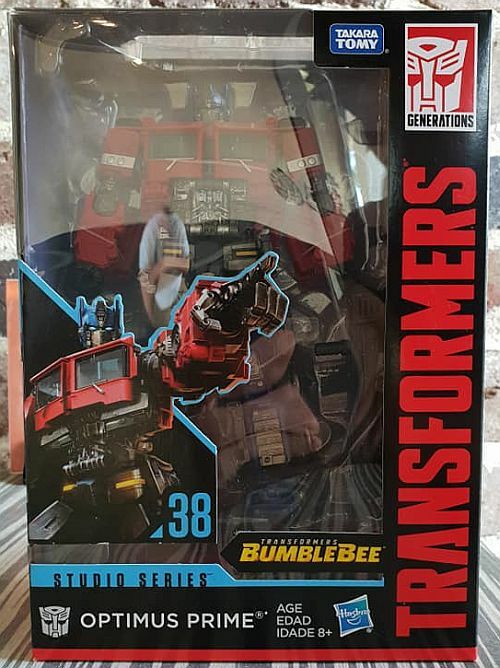 TT is also releasing their version (as well as Shatter) in Japan this weekend (both characters from Bumblebee movie), instead of with the other 3 non-BB movie Studio Series releases at the end of this month. If you preordered from HLJ you would have been charged a few hours ago. I've had it for about a week now and have transformed it a few times (no instructions, but the double twisting torso took a bit of figuring out). It's not very intuitive and at times seems too complicated for it's own good. I like the finished bot and vehicle modes, but the typical Studio Series transformation is a bit convoluted. I'm leaning towards the Siege Prims for overall being more intuitive and having better 'play value', but not looking quite as good. I am kinda miffed that there's no trailer. It's a mostly empty box on wheels, c'mon Hasbro - try harder! I'd have preferred a Leader class size with trailer than the Voyager without. Love this figure except for 2 things. 1. Moving his ankles untabs his leg assembly, making posing him frustrating at times since you're constantly having to retab his legs back in. 2. In vehicle mode, the top of the truck grill doesn't sit flush. I've seen on others and pics here all have the same issue, so just seems like a general design fault where the hinge doesn't fold enough to sit flush. I hope the eventual OS KO will fix these issues and with a size bump we'll get to appreciate this great design even more. I also love this design so much I'm seriously thinking about getting the 3A DLX version that was just announced. Got this toy today but it came with two left door ladder panels, with one of them assembled on the right side of the truck and the right panel is missing. This makes it impossible for the panel to tab in. Otherwise the rest of this toy seems fine. Haven't had a decent play with either mode as I spent a lot of time trying to get the panel to tab in before realising that it's the wrong side panel that's been put into place. Going to ask for a replacement part but until then I'm stuck with an SS38 that cannot fully transform into truck mode. It bugs me whenever any toy doesn't have a faction logo, but with some other Studio Series figures I get that it's because the original screen model didn't have it and that they're trying to screen accurate. 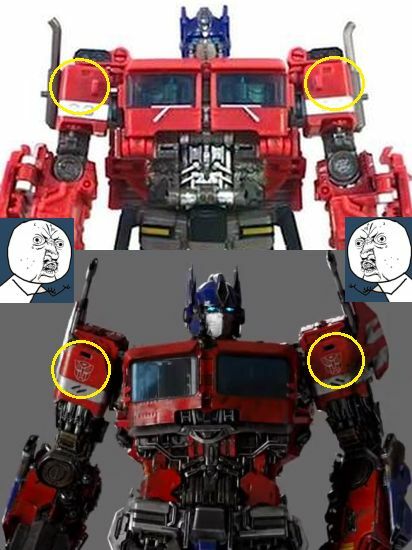 But in this case Optimus Prime does have Autobot logos on his shoulders, so I see no reason why they were omitted. So I think this is where much of the budget was also absorbed into - having the legs transform to try to make it look as realistic as possible. While this isn't a flawless toy I do think it is a very good one and I would absolutely recommend it. Last edited by GoktimusPrime; 15th April 2019 at 11:26 PM. You can see the unsightly gap beneath the sleeper cabin, but you can also see that this rear section is rather thin, trying to hide the fact that they're a pair of robot legs.